Cosmosphere: How Slow can the SR-71 Fly? How Slow can the SR-71 Fly? 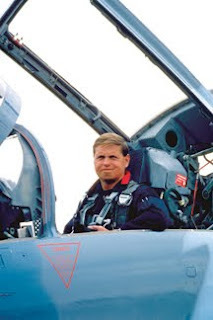 Brian Shul, Retired SR-71 Pilot via Plane and Pilot Magazine, provides an answer. As a former SR-71 pilot, and a professional keynote speaker, the question I'm most often asked is "How fast would that SR-71 fly?" I can be assured of hearing that question several times at any event I attend. It's an interesting question, given the aircraft's proclivity for speed, but there really isn't one number to give, as the jet would always give you a little more speed if you wanted it to. It was common to see 35 miles a minute. fly-past that he had seen one day. Of course, by now the story included kids falling off the tower and screaming as the heat of the jet singed their eyebrows. Noticing our HABU patches, as we stood there with lunch trays in our hands, he asked us to verify to the cadets that such a thing had occurred. Walt just shook his head and said, "It was probably just a routine low approach; they're pretty impressive in that plane." Impressive indeed. Little did I realize after relaying this experience to my audience that day that it would become one of the most popular and most requested stories. It's ironic that people are interested in how slow the world's fastest jet can fly. Regardless of your speed, however, it's always a good idea to keep that cross-check up. and keep your Mach up, too. So how slow and how fast can it fly? The top speed is still classified. Brian said "It was common to see 35 miles a minute" which is 2100 MPH. According to Wikipedia info:"The SR-71 also holds the "Speed Over a Recognized Course" record for flying from New York to London distance 3,508 miles (5,646 km), 1,435.587 miles per hour (2,310.353 km/h), and an elapsed time of 1 hour 54 minutes and 56.4 seconds, set on 1 September 1974 while flown by U.S. Air Force Pilot Maj. James V. Sullivan and Maj. Noel F. Widdifield, reconnaissance systems officer (RSO). This equates to an average velocity of about Mach 2.68, including deceleration for in-flight refueling. Peak speeds during this flight were probably closer to the declassified top speed of Mach 3.2+. For comparison, the best commercial Concorde flight time was 2 hours 52 minutes, and the Boeing 747 averages 6 hours 15 minutes." According to Blackbirds.net:: "So how fast does the SR-71 really go.......? The fastest published speed of the SR is Mach 3.5. There are several factors that limit the speed of the SR, one is the shock waves generated by various parts of the plane, at around Mach 3.6- 3.8 the shock wave off the nose of the aircraft narrows enough to go into the engine, while there is the inlet spike (which slows the air to subsonic before it enters the engine), the shock wave bypasses the spike and causes the engine to unstart. Second is the heat generated by the plane moving through the atmosphere, even titanium has it's limits, and the heat generated by the SR brings the fuselage to the brink. Just recently I found out that during a Lockheed Skunk Works study to see how much money and development it would take to get the SR to go faster than it's designed top speed 3.2- 3.5, the designers discovered (among other things) that the metal divider between the windshield was heating up so much above mach 3.5 that it was affecting the integrity of the windshield, and at that point they had stretched the glass technology to the max! So Mach 3.2 to a max of 3.5.